A one-paragraph law can do it; that's all it took in New Hampshire to ban Construction Work in Progress (CWIP) after Three Mile Island. OK, plus a state Supreme Court ruling, but that would be easier in Georgia since the New Hampshire Supreme Court already set a precedent of upholding the NH law. After Fukushima, Georgia could ban CWIP and end the new Plant Vogtle construction. The we could get on with building solar. "378:30-a Public Utility Rate Base; Exclusions. Public utility rates or charges shall not in any manner be based on the cost of construction work in progress. At no time shall any rates or charges be based upon any costs associated with construction work if said construction work is not completed. All costs of construction work in progress, including, but not limited to, any costs associated with constructing, owning, maintaining or financing construction work in progress, shall not be included in a utility's rate base nor be allowed as an expense for rate making purposes until, and not before, said construction project is actually providing service to consumers." A definitive victory over corporate power was won. And the global grassroots "No Nukes" movement emerged as one of the most important and effective in human history. 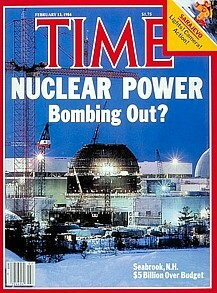 It still writes the bottom line on atomic energy and global warming. 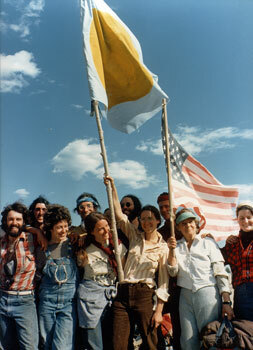 All today's green energy battles can be dated to May, 13, 1977, when 550 Clamshell Alliance protestors walked victoriously free after thirteen days of media-saturated imprisonment. 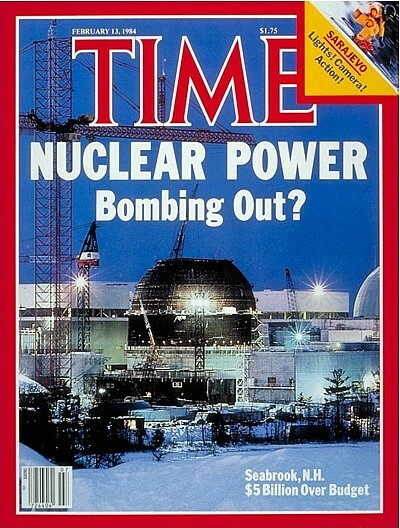 Not a single US reactor ordered since that day has been completed.